The project “Integrated Multimedia Platform for Active Culture and Tourism – IMPACT” 1 is implemented under Priority Axis 2 – “Green Region”, Specific Objective 2.1. 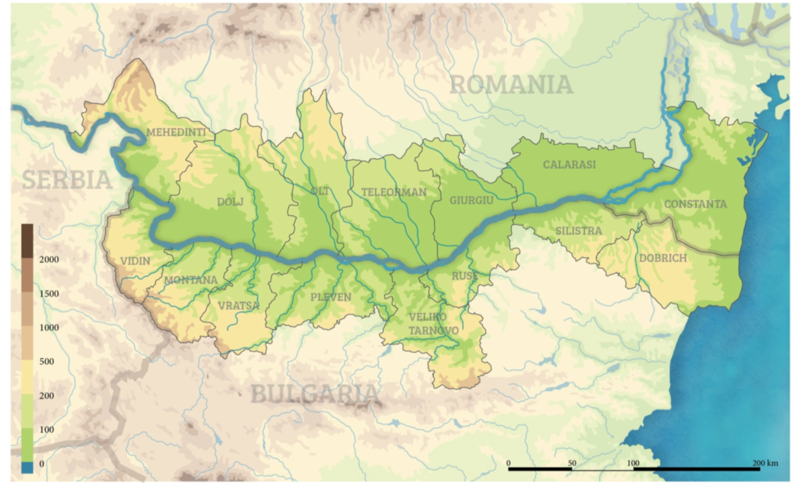 – “Improving the Conservation and Sustainable Use of the Natural Heritage, Resources and Cultural Heritage” of the INTERREG V-A Romania-Bulgaria Program. The program is funded by the European Union through the European Regional Development Fund and co-funded by Romania and Bulgaria. Within the scope of the eligible area under the INTERREG VA Romania – Bulgaria Program, seven counties from Romania – Mehedinti, Dolj, Olt, Teleorman, Giurgiu, Calarasi and Constanta and 8 administrative districts from Bulgaria – Vidin, Montana, Vratsa, Pleven, Turnovo, Rousse, Silistra and Dobrich.